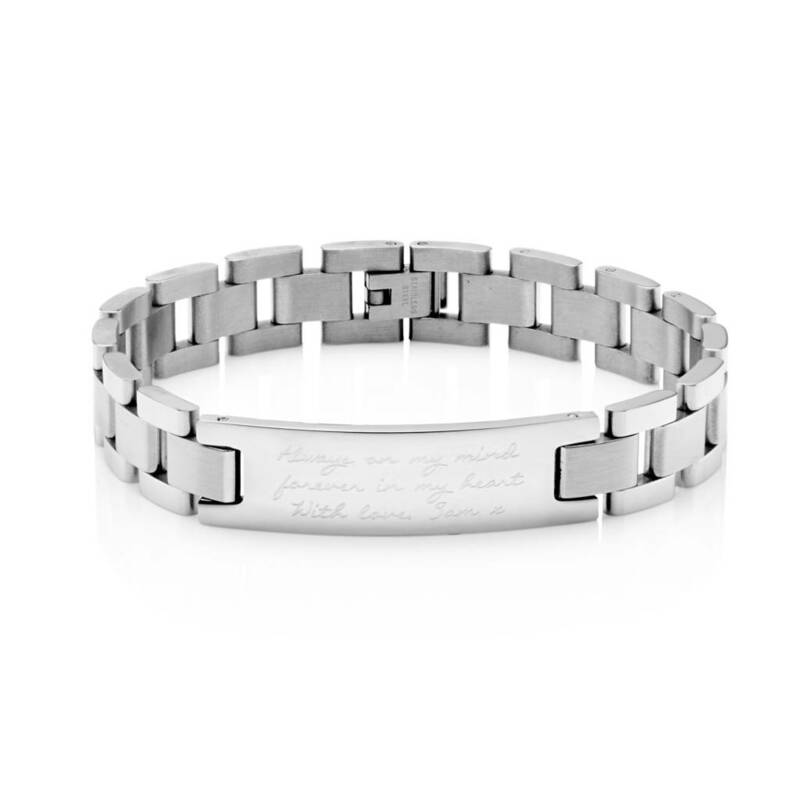 A gorgeous stainless steel bracelet engraved with your message. A very personal gift which says exactly what you want to say. 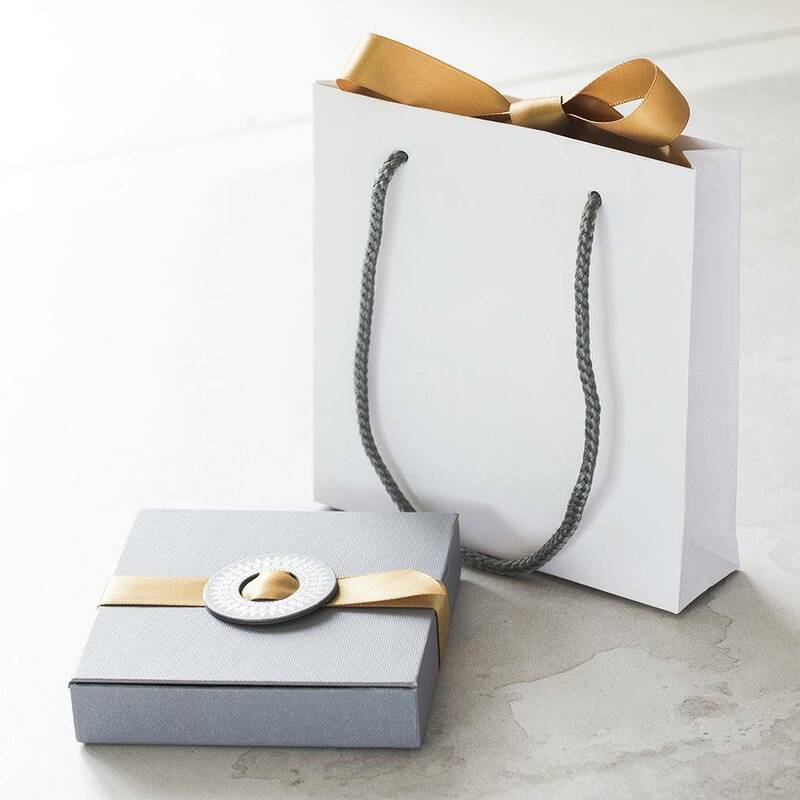 We love making these so they are perfect for anyone, always ensuring that they recipient is delighted. 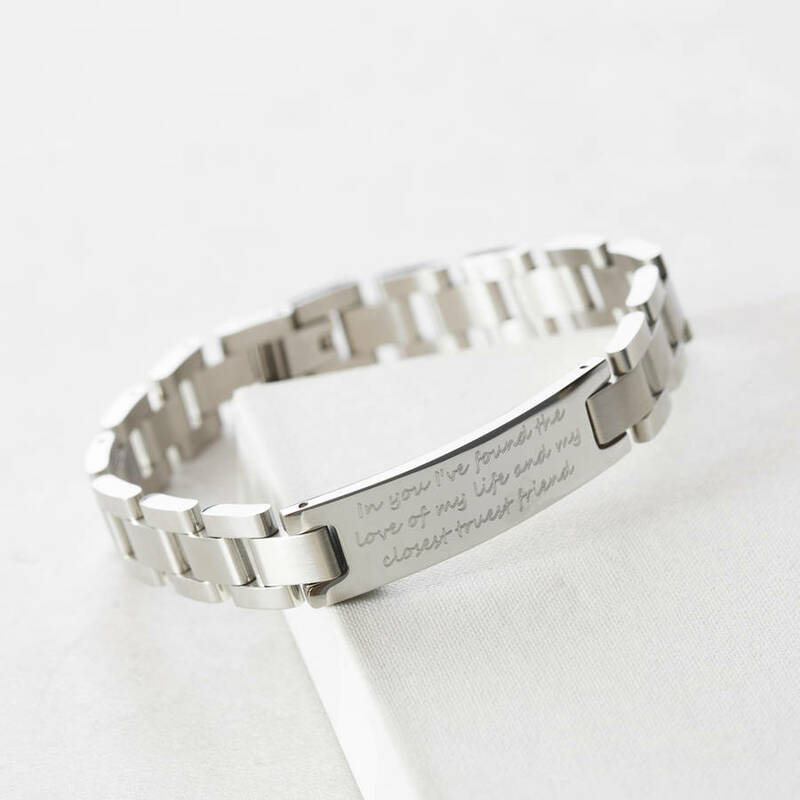 The bracelet writing is very small, and the longer the message the smaller the font. 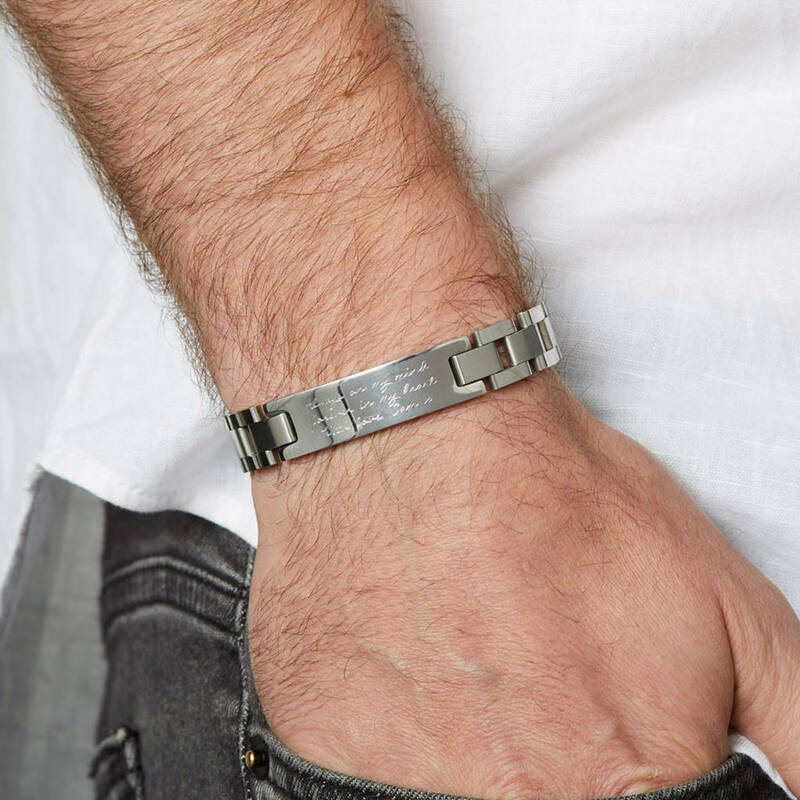 It is readable if looking closely but designed not to be read by others if it's being worn. Image one is Standard font and image two is script. 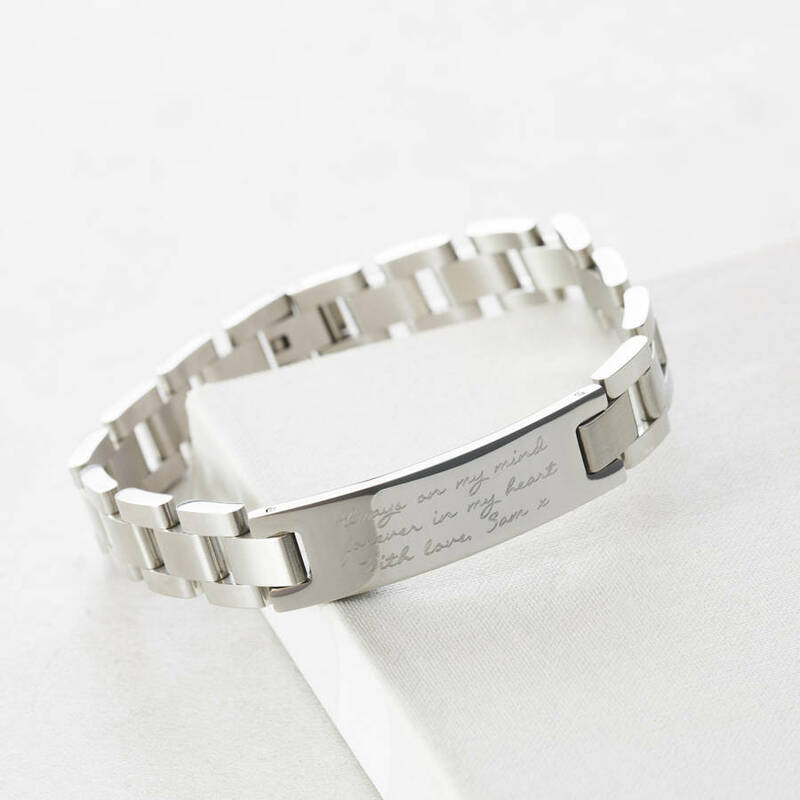 Engrave with your own message or use these for inspiration! In you I've found the love of my life & my closest truest friend.